Preheat oven to 375 degrees F. Butter and flour a muffin pan, or line with muffin paper liners. In a medium bowl, combine the flour, baking soda, salt, 6 tablespoons of the sugar, and 1/4 cup of the coconut. In another bowl, whisk the sour cream, butter, egg whites, and rum (or vanilla) together until smooth. Stir in the diced pineapple. Stir the dry ingredients into the sour cream mixture and stir with a spoon until just combined, do not overmix. Spoon the batter into the prepared muffin pan, filling each cup to about 3/4 of the way full. 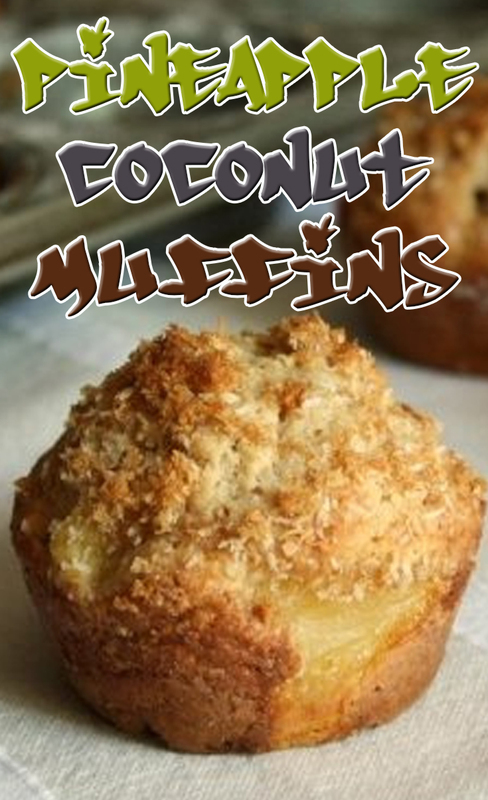 In a small bowl, combine the remaining 2 tablespoons of the coconut and 2 tablespoons of the brown sugar. Sprinkle over the muffin batter. Bake until a toothpick inserted into the center comes out clean, about 20-25 minutes. Cool on a wire rack.